Day and night facial treatment with unique texture. Strengthens skin barrier and stimulates collagen production for firmer skin. 50g / NET WT. 1.76 OZ. 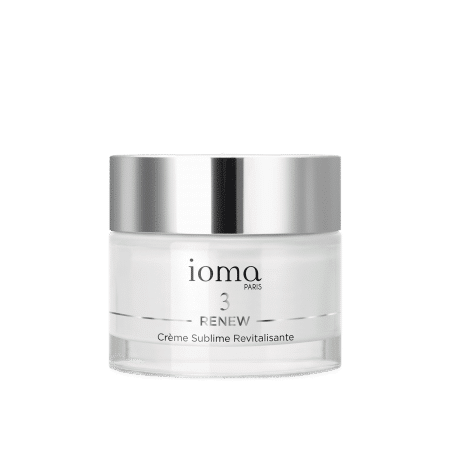 The IOMA Rich Revitalizing Cream is a regenerating facial treatment that rebalances and stimulates the skin, redensifies volume, and re-traces contours. The skin is visibly smoothed, firm, plump, and nourished. 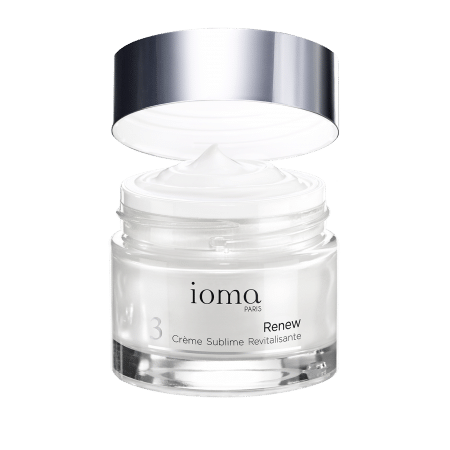 The IOMA Rich Revitalizing Cream has a unique texture: the cream melts when it comes into contact with the skin to allow the active agreements to penetrate and nourish in depth. 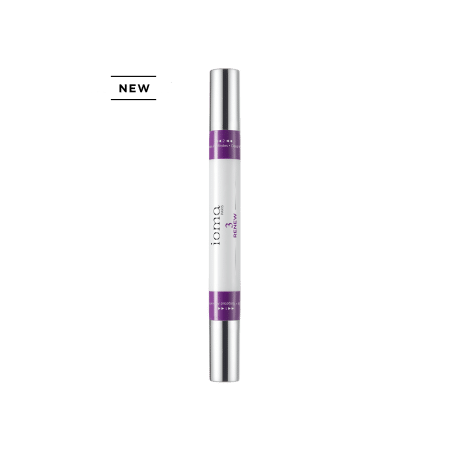 * Self-assessment test carried out under dermatological control after the first application on 40 women aged 45 and older. Water (Aqua), Octyldodecanol, Cetearyl Alcohol, Isopropyl Palmitate, Caprylic/Capric Triglyceride, Glycerin, C12-13 Alkyl Lactate, Pentylene Glycol, C10-18 Triglycerides, Helianthus Annuus (Sunflower) Seed Wax, Ceramide Np, Ceramide Ns, Ceramide Eos, Ceramide Eop, Ceramide Ap, Butylene Glycol, Sodium Polyacrylate, Ceteareth-20, Urea, Propanediol,Chlorphenesin, Fragrance (Parfum), Ceteareth-25, Saccharide Hydrolysate, Tocopheryl Acetate, Steareth-20, Lecithin, Disodium Acetyl Glucosamine Phosphate, Cetyl Alcohol, Disodium Edta, Tamarindus Indica Seed Gum, Phospholipids, Glycolipids, Magnesium Aspartate, Glycine, Alanine, Trifolium Pratense (Clover) Flower Extract, Phenoxyethanol, Magnesium Hydroxide, Behenic Acid, Cholesterol, Tocopherol, Linum Usitatissimum (Linseed) Seed Extract, Glyceryl Caprylate, Sodium Levulinate, Sodium Anisate, P-Anisic Acid,Creatine, Chlorhexidine Digluconate, Sodium Citrate, Potassium Sorbate, Citric Acid, Helianthus Annuus (Sunflower) Seed Oil, Palmitoyl Tetrapeptide-7, Caprooyl Phytosphingosine, Caprooyl Sphingosine, Biotin. Improves the quality of the stratum corneum and rebalances the NMF (Natural Moisturizing Factor) to improve the capability of water retention and to optimise the barrier function. 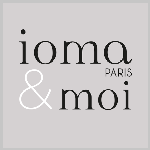 Reestablishes the skin’s defences to combat oxydative stress. Supports the production of hyaluronic acid, key for the densification of the dermis. Apply Sublime Revitalizing Cream morning and evening to the face and to the neck, after cleansing thoroughly. Browse our selection of recommended products with Rich Revitalizing CreamI personalize my Beauty ritual.